In 2017 the Pittsburgh Steelers were primed to make a Super Bowl run with a stockpile of offensive weapons. They had one of the NFL’s best running backs in Le’Veon Bell to compliment a hall of fame wide receiver Antonio Brown and a young stud receiver Juju Smith-Schuster. But fast forward to 2019 and they’ve managed to lose Le’Veon to botched contract negotiations and decided to trade Antonio Brown to the Oakland Raiders after he demanded a change in scenery. Although Juju and James Conner seem primed to carry the Steelers offense in 2019, losing two of the best players in the NFL is bound to have a significant impact. The Antonio Brown trade will definitely make a huge impact on both teams involved. The question is, who will benefit from the transaction? 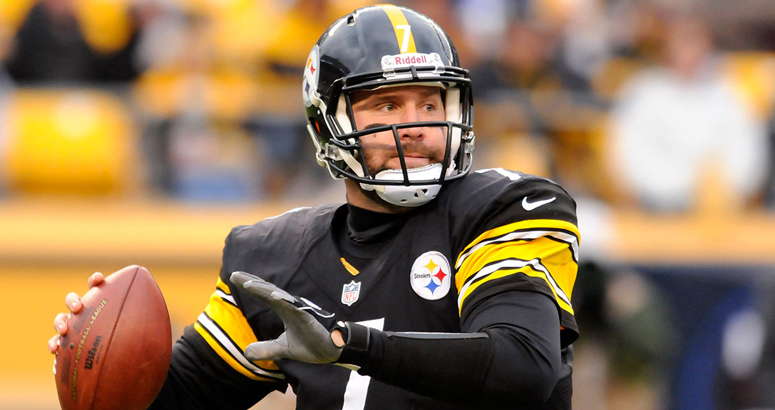 Since 2011 Antonio Brown has accounted for almost 30% of Roethlisberger’s targets and 31% of his completions. To think that losing Brown won’t affect Ben’s production is quite arrogant, especially considering how much he benefitted from having Brown and Smith-Schuster on the field together in 2018. In fact, Roethlisberger had the best season of his entire career in 2018 managing to surpass his yardage and touchdown records in one season. I would expect some serious regression in 2019 considering the state of the Steelers current roster. With Juju as his clear number one receiver, Ben will be forced to depend on James Washington and Vance McDonald to pick up the slack in the absence of Brown. I personally will be avoiding Roethlisberger in fantasy drafts considering prior to 2018 he had failed to make the top 10 fantasy quarterbacks since 2014. Conner took the league by storm in 2018, rewarding Bell owners who owned him as a handcuff early in the season. Although Conner looked like a stud early on, he faded late in the season due to injury. After week 10 versus the Carolina Panthers, Conner failed to surpass 100 yards rushing and saw a significant decrease in touchdown production. Although I believe Conner is a talented running back, I don’t think he will be surprising anyone headed into 2019. I would expect defenses to prepare for him, especially considering the absence of Antonio Brown. There are around 15 running backs I’d take ahead of Conner and I would probably look to trade him in dynasty leagues while his value is still high. He is currently considered by many analysts to be just outside the top 10 dynasty running backs ahead of players like Le’Veon Bell, Kerryon Johnson, and Sony Michel. Despite having his doubters headed into 2018, Juju managed to prove himself by finishing as the wide receiver eight in PPR formats. There is no doubt that he benefited from having Antonio Brown on the field to draw the defenses top coverage but even with that in mind, I think he will continue to produce in 2019. While he may lose some efficiency due to increased attention from the defense, he will benefit from gaining targets in the absence of Brown. There will be a 168 vacated targets for Juju to capitalize on as the number one receiver. And if you go back to 2017, he managed to increase his target share by almost 40% in the absence of Brown. With all that said, I’m not entirely sure Juju will finish as a top 10 receiver option in 2019 but I do think he’s worth drafting in the late second round of fantasy drafts. His floor is a mid-wide receiver two with high end receiving upside. In 2018, Washington did little to impress on his limited targets averaging a 42% catch with only one touchdown. But what he lacked in catch efficiency he made up for with a 13.6 yard per catch average. Although he didn’t quite impress during his rookie season, I do believe Washington will see a significant increase in production headed into 2019 due to the absence of Antonio Brown. Throughout his college career, Washington was an extremely productive receiver averaging 1,100 yards over his four seasons at Oklahoma State. From his Sophomore to Senior years he averaged 11 touchdowns, making a huge impact for the Cowboys. I will be drafting Washington in 2019 drafts expecting to get high-end wide receiver three production with possible low-end wide receiver two upside. With the loss of Jesse James during the offseason, many analysts believe Vance McDonald will become a reliable fantasy option in 2019. And although it has been a while since we’ve seen any reliable tight end production in Pittsburgh, this could be the year. Going back to a time before the Steelers had multiple talented wide receivers, Heath Miller had some very productive years with Ben Roethlisberger. In fact, if you add up Jesse James stats with McDonald’s in 2018 you’d have the tight end five overall. Although I do not believe McDonald will be a high-end tight end in 2019, he could be a productive late round draft pick this season. Don’t hesitate to take him as a late-round upside play in your upcoming fantasy drafts. Considering most tight ends in 2018 scored less than 150 PPR points, it doesn’t take much to be relevant at the position. 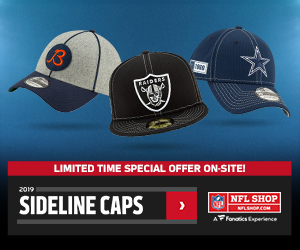 After trading Khalil Mack and Amari Cooper in 2018 there were many who thought the Raiders had no clue what they were doing. But in a sudden change of direction, they managed to acquire Antonio Brown, Tyrell Williams, and J.J. Nelson to bolster their offense headed into 2019. Although the trade of Khalil Mack may never make sense, they were able to justify the Cooper trade by acquiring Brown for relatively cheap. The question is, how will this affect the Raiders offense headed into this season? 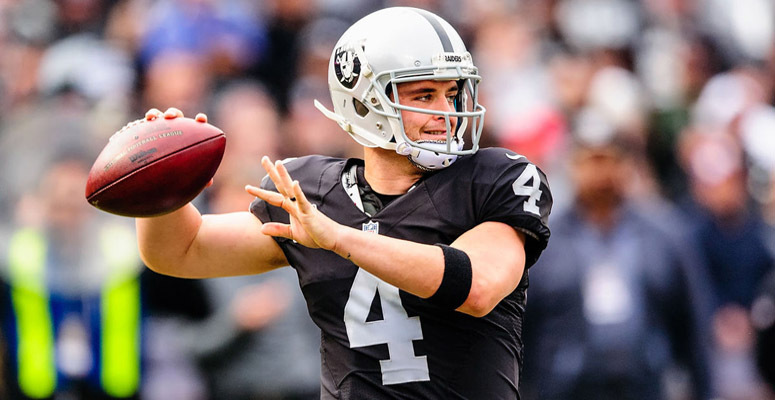 Throughout his five year career, Derek Carr has had his ups and downs. In 2016 it appeared he had turned the corner by reaching 3,937 yards for 28 touchdowns with only six interceptions. But since then, he has managed to regress by increasing his interception ratio and decreasing his touchdown percentage. Although much of his regression was due to the loss of Michael Crabtree, you can’t blame it all on his receivers. He has played some downright sloppy football over the past two seasons. With all that said, Carr has the best receiver options he has had within the last few seasons and it is entirely possible he could see some increased production in 2019. It is hard to imagine him becoming a top ten quarterback this season after failing to even crack the top fifteen over the last two seasons. I’d be looking to get him as a quarterback two in super flex leagues if the price is right. But don’t expect him to suddenly become an elite quarterback option just because he got Antonio Brown and Tyrell Williams. Marshawn Lynch failed to carry the Raiders rushing attack in 2018 due to injuries and at this point, they aren’t even sure if he will return to play in 2019. They relied heavily on Doug Martin to carry their rushing attack after losing Lynch and he is a free agent headed into the offseason as well. The Raiders had every opportunity to acquire Le’Veon Bell in free agency but chose rather to stick with what they had by resigning Jalen Richard to a one year contract. However, I am not convinced that the Raiders plan to have Richard lead their backfield considering they opted to feed Doug Martin instead of Richard in Lynch’s absence in 2018. They could easily choose to draft a young running back to be their future bell cow with one of their four picks in the first two rounds. But even if that is the case, Richard could end up proving himself a valuable asset if acquired for the right price. He has shown the ability to be a threat out of the backfield with an insane catch rate and decent yardage in 2018. If the Raiders decide to draft an early down grinder and use Richard on third downs he could still be a decent flex option in PPR formats. I would be skeptical of his current value until we see how the draft shakes out. But if they do decide to draft a running back you should definitely use that opportunity to try and acquire Richard while is his value is low. It could pay off big if he gets the right opportunities this season. Brown is likely to become a hall of fame receiver due to his production over the last six seasons. But to pretend that going from Ben Roethlisberger to Derek Carr isn’t somewhat concerning would be irrational. Brown has averaged 171 targets per season since 2013 and Derek Carr has never targeted a receiver at that percentage. But you could argue that Carr has never had a target with Antonio Brown’s talent. When reviewing the total attempts for Carr and Roethlisberger since 2014, I was shocked to realize there wasn’t a very big difference between the two. Ben only averaged roughly five more attempts per season and their completion percentages are similar if you remove Carr’s rookie seasons. To say that Derek Carr won’t heavily target Brown simply because he has never had a receiver with more than 150 targets would be lazy analysis on my part. It is entirely possible that Carr and Brown make a connection similar to what Brown had with Roethlisberger in Pittsburgh. If you go back through Roethlisberger’s career stats, he never targeted another receiver more than 140 times until Brown in 2013. It is possible that Brown’s talent demands targets simply because he is so good at what he does. I’m not letting the trade to the Raiders scare me away from Brown, in fact, he is a value in my opinion since many have dropped him in their rankings. Will he be the wide receiver one overall in PPR formats? It is doubtful. But I don’t see him dropping out of the top five PPR receivers headed into 2019. And in dynasty drafts, he is a steal with a current ADP in the late second round. Buy now while you still can! There were many who hoped Tyrell Williams would land somewhere like the Indianapolis Colts to become a big target for Andrew Luck. And although I’m not sure the Raiders are the best landing spot for Tyrell, it may end up being better than initially expected. Throughout Tyrell’s career, he only received more than 70 targets in one of his four seasons with the Chargers. And with adequate targets, he was able to put up over 1,000 yards with seven touchdowns. Prior to 2018, Derek Carr had consistently supported two wide receiving with 100 plus targets and I believe he can do it again. Although Antonio Brown will demand a large portion of the targets, I believe Tyrell will benefit from facing weaker covering. If Williams manages to receive 100 targets from Carr in 2019 I have no doubt that he will reach the 1,000-yard range and he holds touchdown upside with the suspected absence of any viable tight end options. For me, Williams floor is a low wide receiver two with mid-wide receiver two upside. With his current value, he’s a steal in your upcoming fantasy drafts. The signing of J.J. Nelson feels very odd considering they have already had Seth Roberts filling the role of wide receiver three. It is possible that they could opt to cut Roberts and slot Nelson into that role but if I’m being honest neither player really interests me. Over the years I think we’ve seen what Roberts and Nelson are capable of and it isn’t consistent fantasy production. Although both players have shown the ability to find the endzone, they have not shown the capability to sustain enough targets to remain fantasy relevant. The acquisition of Antonio is likely to even reduce the role of the third receiver in this offense. I’m avoiding. 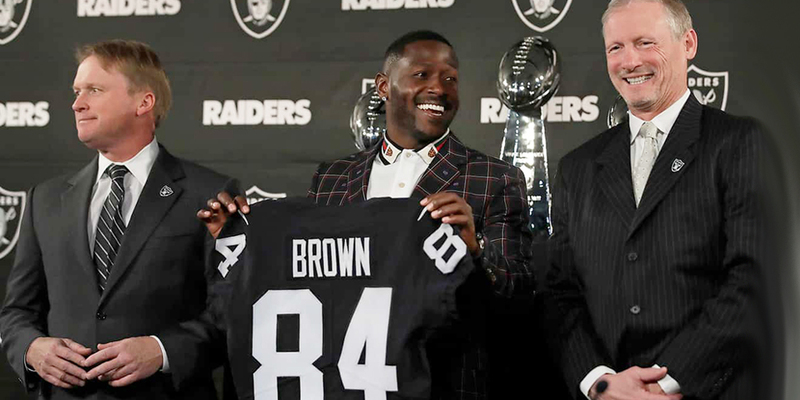 It will be fun to watch Antonio Brown in the silver and black as they make their transition to Las Vegas. And Raiders fans should be excited to know that their team has another hall of fame player on the roster. Brown being traded to the Raiders will be a scenario that goes down in NFL history, much like Jerry Rice going to Oakland after his long successful career in San Fransisco. And although Steelers fans are likely disgusted with how the Antonio Brown era ended, they’d have to admit it’s been a fun ride.